Over the past few years many of the big players have been pushing their own AI assistants. Cortana, Google Assistant, Alexa, Siri and more coming out every year. Recently, I've taken an interest in these different assistants, seeing how they tick and evaluating the similarities and differences. I see these as becoming the primary interaction for certain (but not every) day-to-day tasks that we may do now with other devices. For instance, last year I looked at asking Cortana for the latest temperature recorded by my Point devices. Recently, I've obtained an Echo Dot as the price was just too low to pass up on. 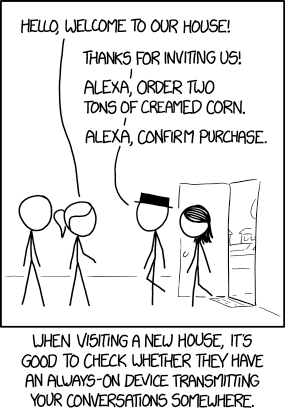 I'm impressed with it, and in the Kitchen, Alexa is very helpful when my hands are full. However, there was one piece of information she just couldn't provide to me out of the box. I catch the bus a lot, but have just recently moved so haven't got used to the bus times. Alexa doesn't know this information out of the box, so I went looking for an existing skill to fill this void. Unfortunately, I failed to find one that either worked in my city (there's a lot that work in just London), or were natural/easy to use without having to know the stops I'm wanting to depart from. So I saw this limitation as an opportunity to expand my knowledge with the Alexa Skill framework and developed a skill where I could ask it more natural questions for finding out bus times.